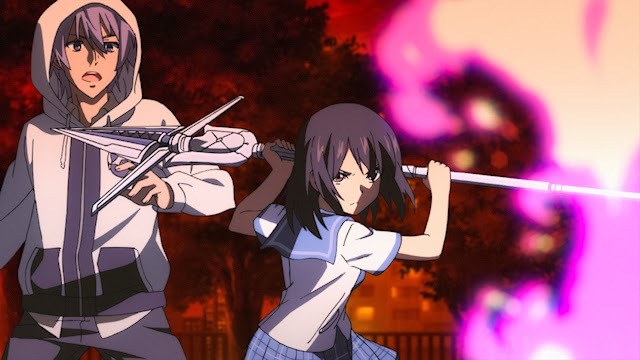 Strike The Blood is about a powerful vampire called the Fourth Progenitor. The Fourth Progenitor thought to only exist in legends was a powerful vampire that would cause destruction any time it appeared. The government and the Lion King would send out attack mages called Sword Shaman to observe and defeat the Fourth Progenitor. This time for reasons unknown an apprentice Sword Shaman female by the name of Himeragi Yukina was dispatched with the mission. So when she arrives at the Demon District, Itogami City she is tasked with finding the true identity of the Fourth Progenitor and if necessary to destroy it. She on her mission bumps into a boy named Akatsuki Kojou who she befriends but later finds out is the Fourth Progenitor. I really enjoy this anime as the story is intriguing. I like super natural anime as I feel they make the best stories. The cast of characters each have their own distinct identity as well as things they are trying to keep secrete. This makes for good story telling. While it does have a serious tone to it doesn't take itself to seriously and has funny moments throughout the series. As well as funny moments Strike The Blood plays into fan service as well. There are classic up skirt shots, harem romance, bathtub scenes, and the classic nurse or school girl outfit. But to top all this off the action is highly entertaining. During the show they encounter different types of mages, demons, warlocks, and witches each with different powers and abilities. How they are used and who they are used against make the battles interesting. 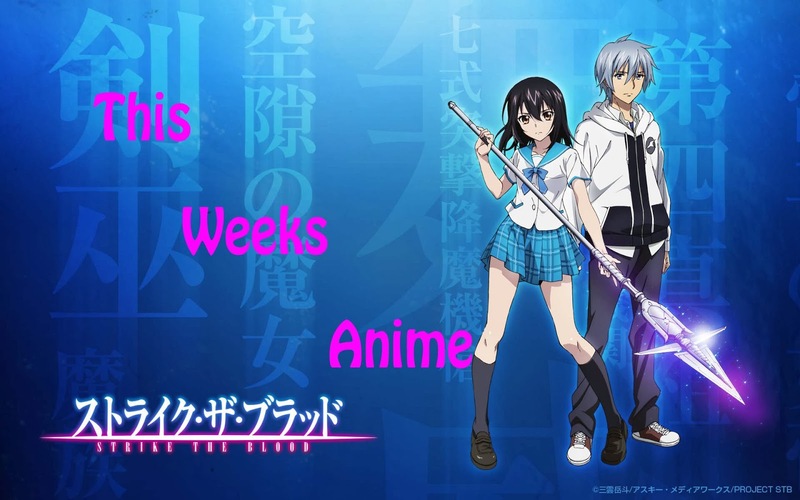 Strike The Blood is a entertaining anime that I recommend you check out. As of this post there are 18 episodes out and more coming weekly. If supernatural anime is your thing then I think you will enjoy this one as I did. 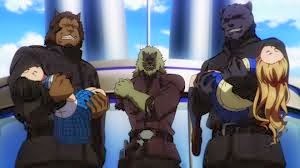 Catch current and future episodes on Crunchy Roll.